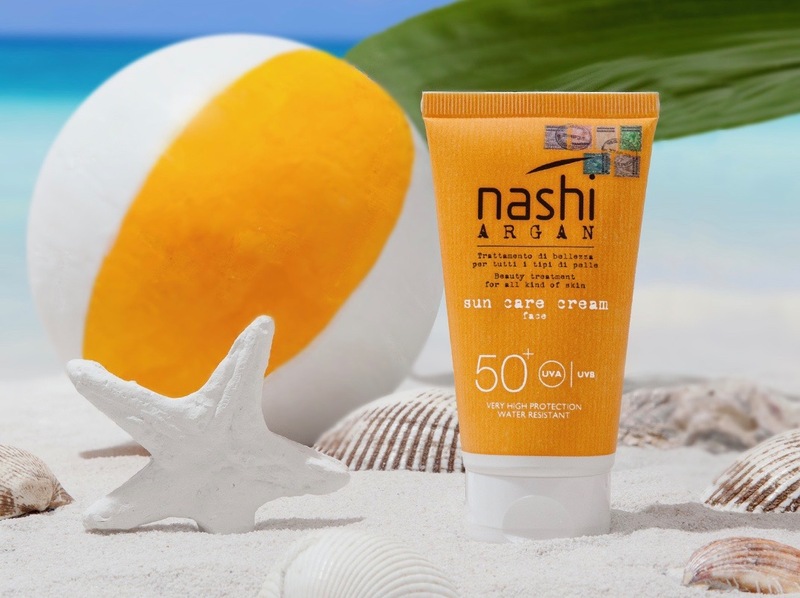 ﻿ Nashi Argan Sun Care Cream face SPF 50+ – Exceptional protection for a sensible tan! For a safe, radiant tanned face! 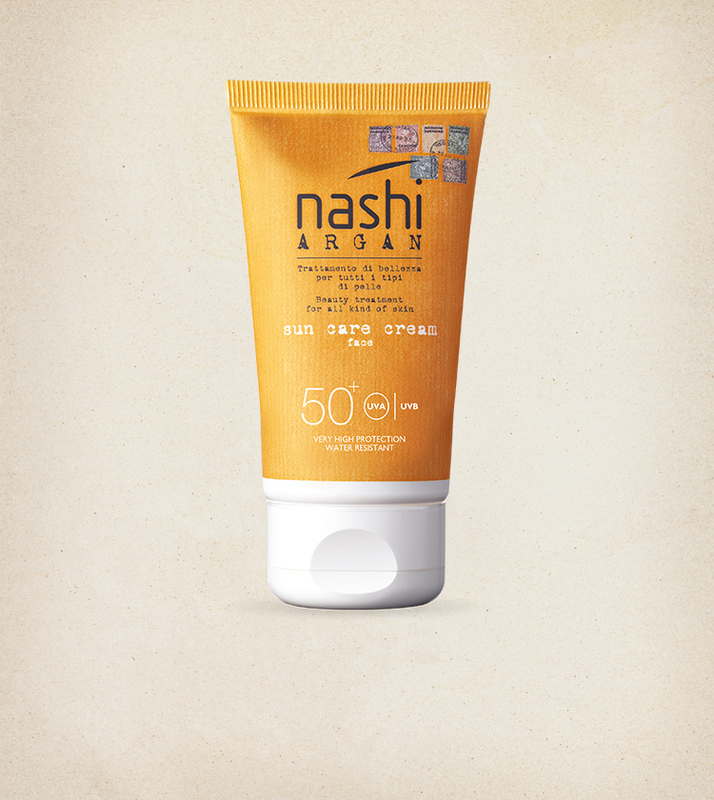 Nashi Argan Sun Care Cream face 50+ protects the skin in the more sensitive areas of your body, like the face. Soak up the sun in total safety: the moisturising water-resistant formula, packed with precious anti-age ingredients, leaves your skin feeling pleasantly dry and velvety, for maximum comfort and wellbeing in the sun! 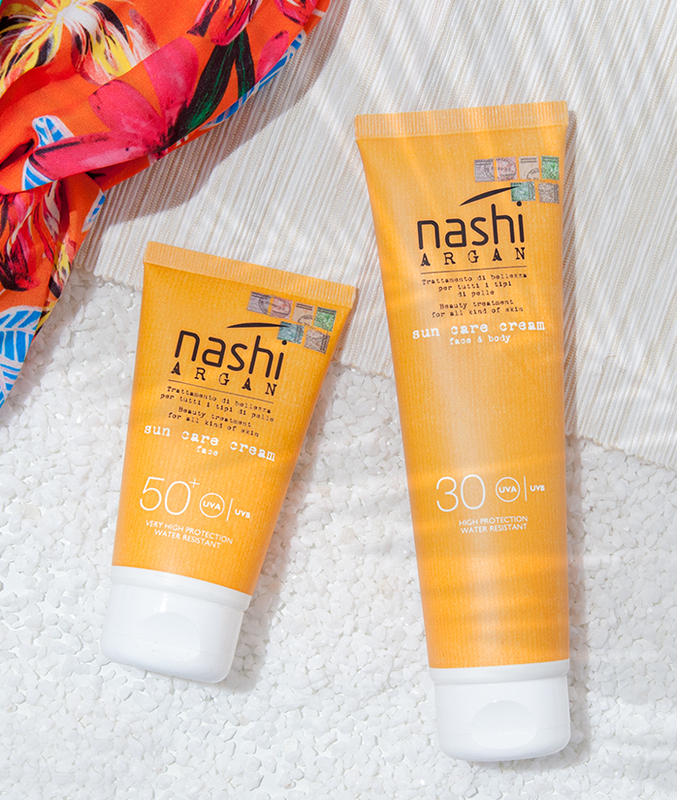 Discover the other Sun Care Creams SPF 15 and SPF 30! 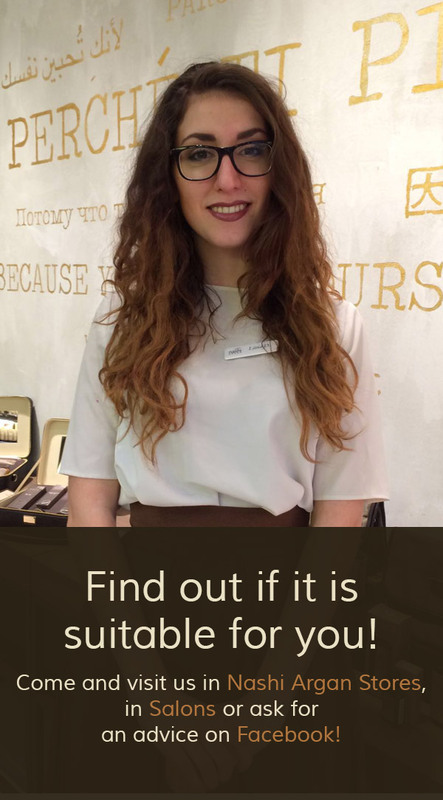 Your phototype is pale, your skin is sensitive and prone to burning, reddening and sunstroke. You usually use a SPF 30, but you want a product that will protect your face and the more sensitive areas of your body (shoulders, chest). 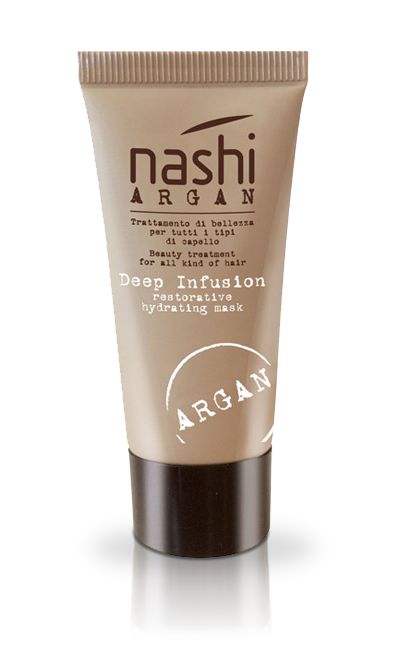 You are looking for a product that is both water and sweat resistant, that prevents hyperpigmentation (dark spots) and gives an all-over even tan. There is nothing better than a scrub treatment to prepare your skin for the sun and make your tan last longer afterwards! 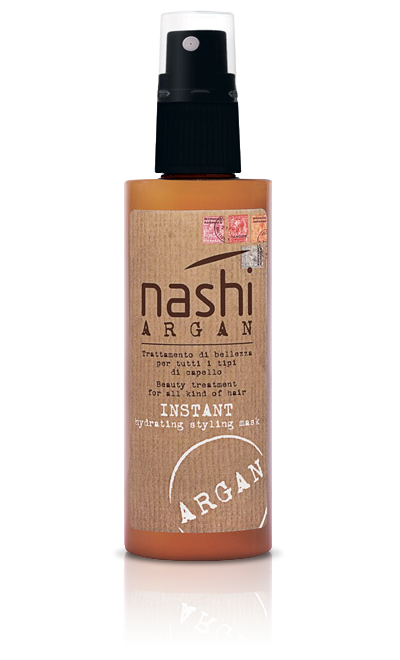 Before your holidays, we recommend you stimulate cell renewal with Nashi Argan’s face and body scrubs Gentle Scrub e Body Scrub, for smooth, hydrated skin… and a glowing, even, long-lasting tan! About an hour before going out in the sun, apply generously and evenly to the face, avoiding the area around the eyes. Reapply after swimming, especially if in the water for a long time, after sports or every two hours. 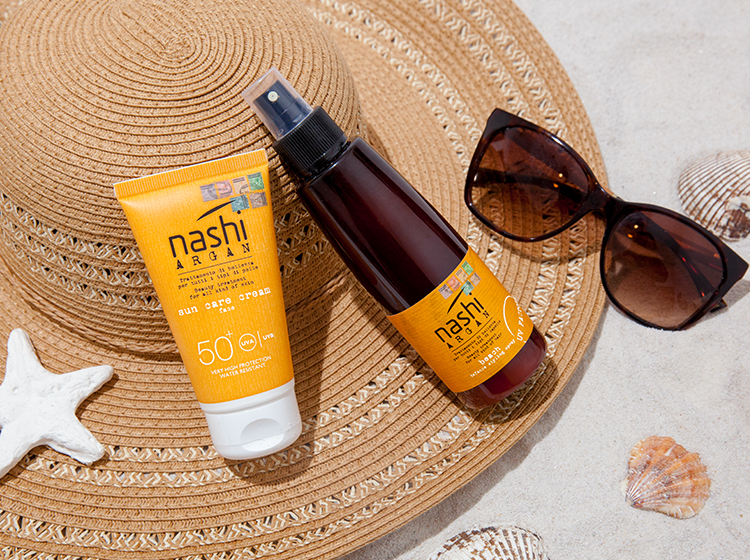 UVA/UVB Filters Nashi Argan Sun creams contain latest generation sun filters that are certified for their stability over time, water resistance, efficacy and dermocompatibility. 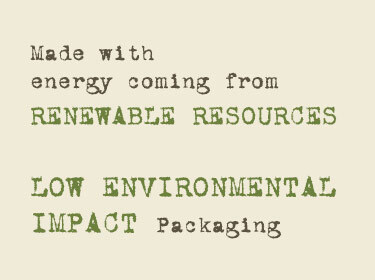 They provide outstanding protection during exposure to the sun and are non-greasy. 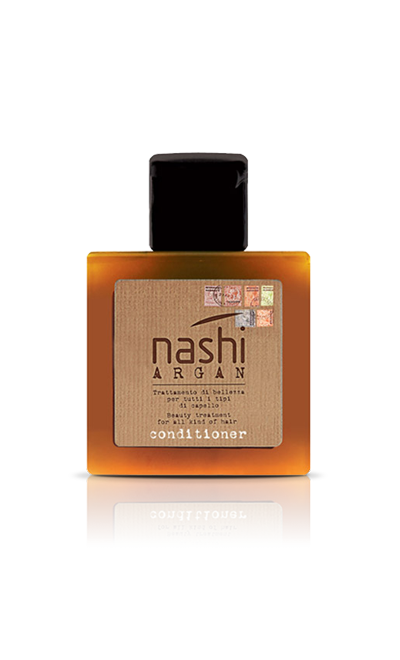 Organic Argan Oil This is a rare and valuable ingredient because it is extracted manually in a difficult, time-consuming process. 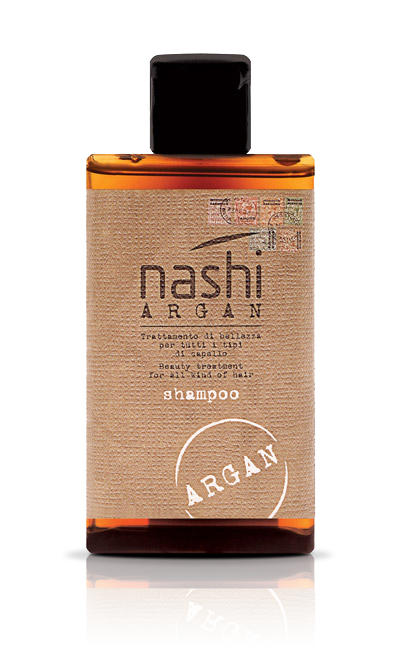 Forty kilograms of fruit from the Argania Spinosa are needed to produce one litre of oil. 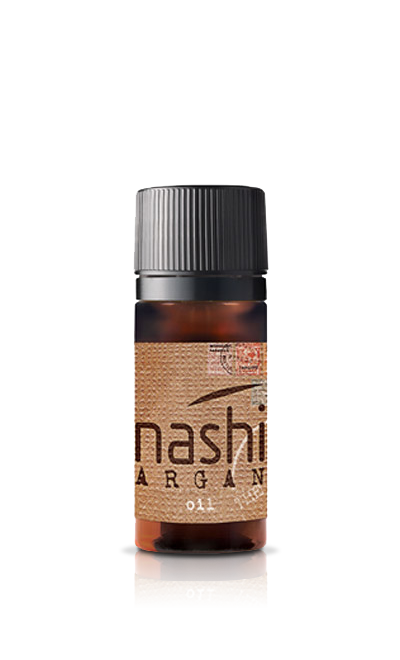 The oil stimulates vital cell functions, restructures and hydrates deep down. Rich in fatty acids, it has powerful nourishing properties, helping keep skin supple and compact and fighting the signs of skin aging. Moringa Oleifera Also known as “Nebeday, the miracle tree”, this plant-based active ingredient is rich in fatty acids, antioxidant and nourishing active ingredients that help slow down the action of free radicals, keeping skin nourished. Fermento Thermus Thermophillus This is a powerful natural active ingredient that protects cell structure from the negative effects of UV rays, while effectively counteracting skin aging caused by infrared (IR) rays. Maritime Pine Bark Extract One of the most powerful antioxidant complexes found in nature, it helps protect the skin’s collagen, neutralizing the reactivity of free radicals that are potentially harmful to humans. It effectively counteracts skin aging caused by exposure to sunlight (photo-aging), providing greater protection against external aggressions. It helps keep the skin properly hydrated.